My dissertation, L’Italia Meticcia: Being and Belonging in the Black Mediterranean, provided a survey of readings of postcolonial, anticolonial, and migration literature written by Italian writers of East African descent. In that project, I examined the marginalized corpus of anticolonial East African and Black Italian writers to affirm ontologies of blackness in the wake of widespread dispossession of Black livelihood in Italy. I examined literary, historical, and geopolitical sites to generate a multivalent analysis useful to the broad mandate of Black Studies, including grappling with the dialectical conceits of citizenship and nonbelonging. I engaged with proliferating scholarship on postcolonial and Black Europe as well as concerns with the variegated movements of peoples, cultures, and ethnoracial categories. 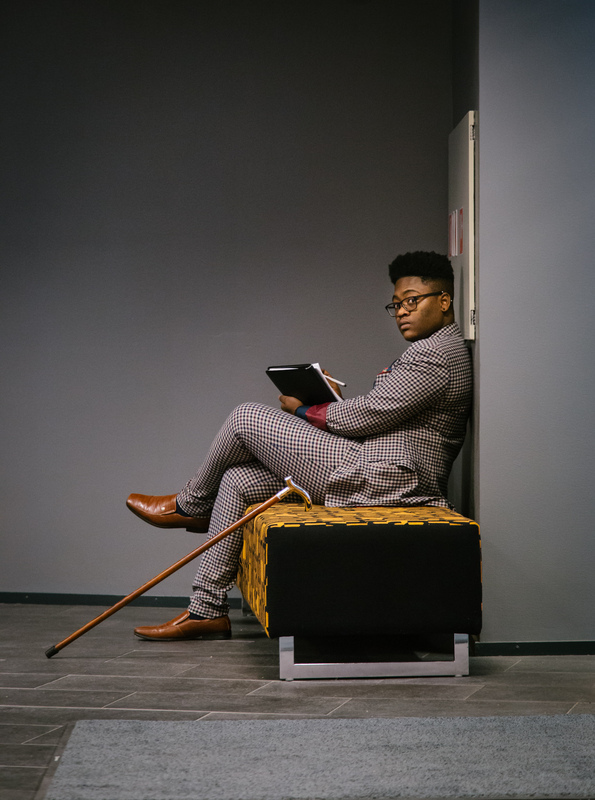 The dissertation was informed by the turn to creolization in Caribbean Studies, the turn towards mixed identities and hybridity in Queer and Postcolonial Studies, the incisive attention to history in Black Studies, and the postcolonial turn in Italian Studies. I identify within Italophone migration and postcolonial literatures acts that affirm Blackness and Africanness and resist false heteropatriarchal and white supremacist claims about a monoracial and monological category called “Europe.” In this category, Italy is a Eurocentric borderscape and thus, within the culturally syncretic region of the Mediterranean, a highly contested zone in which the self- initiated crisis of European identity thrives under the guise of a “crisis of migration.” Further, by adapting Cedric Robinson’s “racial regimes” and Édouard Glissant’s theories on “créolité” and “antillianité,” my project exposes the material and psychological violence of Frontex Europe and the legacies of colonial and fascist Italy by insisting on discussing the politics of citizenship on its own terms, without relying on the desire to redeem or reconcile its legal hierarchies. Thus, my research departs from the liberal narrative about and traditional approaches to cultural belonging in Italy, the Mediterranean, and Europe from the period of the Risorgimento (Italian Unification) to the contemporary moment. My current research on the Black Mediterranean further attends to Mediterranean Maghrebi, Francophone, and Italophone contexts with regard to postcolonial literature and the intercultural Mediterranean solidarities forged with another “mediterranean” (i.e., “middle earth”) sea—that is, the Red Sea bordering the Horn of Africa. Extending my research to this geopolitical area will define my next major project after the completion of my first monograph, Where Blackness Meets the Sea: On Crisis, Culture, and the Black Mediterranean. My interdisciplinary research agendas have allowed me to expand my command of methodologies, challenge my understanding of key notions such as transnationalism, decoloniality, and diaspora, and work with a large range of professionals and academics across the US, the UK, Italy, and East Africa (specifically Ethiopia and Somalia). My scholarship is informed by the years I have spent in various social justice movements and literary collectives. Moreover, as an educator interested in fostering conversation in multiple registers, I also maintain an arts practice. I recently completed a performance tour throughout Germany, Italy, and the UK entitled “Proclivity: Too Black, Too Queer” which explored the concepts of intersectionality, ambivalence towards the call for Eurocentric recognition, and accumulation through global and regionalized circuits of social capital. I have also written a chapbook, hiraeth: poems, and am completing an accompanying multimedia documentary, which is currently in the final production stages with support from The Freedom Festival Arts Trust and the Royal African Society, among other patrons and sponsors.